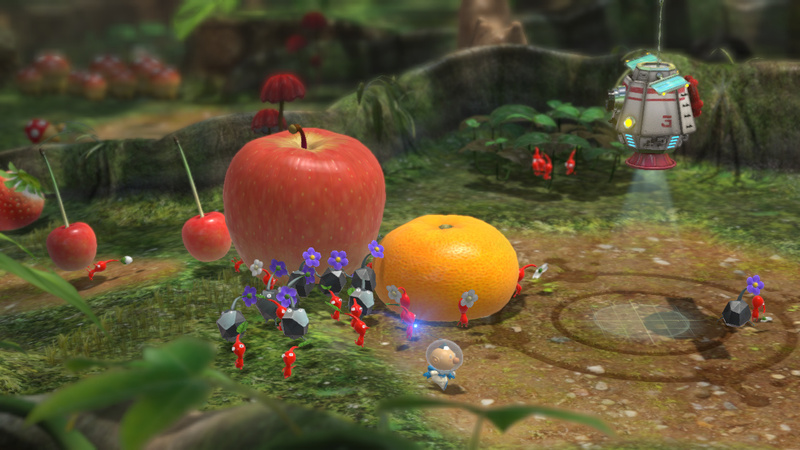 Miyamoto: HD Development "Took More Time Than Originally Anticipated"
Shigeru Miyamoto has said working on Pikmin 3 has been a blast for him, but the upgrade to HD for it and other titles may have been more work than Nintendo originally anticipated. When it comes to the scale of software development, Wii U with HD graphics requires about twice the human resources than before. Please allow me to explain that we may have underestimated the scale of this change. The overall software development took more time than originally anticipated just as we tried to polish the software at the completion phase of development. While growing pains between Wii and Wii U development have been evident, Miyamoto also noted that the Nintendo Web Framework, introduced this past April, is expected to aid in future HD development. Are you worried about Nintendo's struggles adapting to HD, and do you think it's be an issue that'll now be resolved for future releases? Let us know below. It is pretty worrying that people have been working on HD console games for nearly a decade but nobody at Nintendo had any idea how much extra work went into it? Maybe they need to talk to other people in the industry a bit more. Half the internet was talking about how nintendo would need to up their game to get with the times and about how that was always going to require more resources and time, and everybody in the industry had been saying this for over half a decade. Quite some ignorance and mismanagement there. This lack of anticipation has cost them the dear advantage of being the latest console for about a year, before any competitor starts moving in the same space. Shame. Welcome to 2006, Nintendo. I can't believe they didn't prepare enough for HD development. Didn't they notice all the issues a number of developers were running into years ago? They live in such a bubble sometimes. With HD being pretty much double the reseloutin of SD, it should be pretty obvious that extra work would be needed. I cannot see how a Nintendos games manufacture, publisher etc, would of not seen this coming, when everyone else around them has been doing just that for nearly a decade now. This is the second time they have said this. Have they been living under a rock for the past 7 years while Sony and Microsoft have been developing HD games? Nintendo are really starting to make me angry and I'm pretty sure I'm not the only Ninty 'fanboy' to feel like this since the launch of the last gen WiiU . Thank god I invested in a PS3 a few weeks back as the WiiU is pretty much dead to me at the moment, too many delays with so many games and I'm not talking about super smash bros which won't be out untill 2015 or 3d world coming at Christmas. Indie games can only do so much by the way. Not so much Miyamoto's fault but it serves them right for their Wii greed. If any Nintendo fan was in charge between 2006 and 2010, they would have released a powerful HD Wii2 in time for the death of the Wii and would have had a few HD Remakes ready for the transition. Whoever came up with the Wii Mini does not deserve to keep their job, whoever let Retro make 3 DKC games is an idiot. The man in charge of the VC schedule is a fool and not duplicating the Wii Channel's screen onto the gamepad is insane. I would have spent lots on Wiiware if they'd let me play on the gamepad..
yep. It's like.. hey, welcome to 2006 Nintendo!! I have no idea how they could've underestimated the resources required for the jump between SD and HD development. I'm not even a developer or connected to the games industry in any way, and even I understand from watching this gen. unfold that it requires a 'significant' investment in additional resources. Still, the games will be great. Just 6-12 months late i guess..
[email protected] Nintenjoe64 re the VC..
Nintendo's budget overseers are not loosening up at any quick pace. I wouldnt be surprised if they still demand SD prices for the HD work being done lol. I don't mind waiting for a quality game. If they need more time to clean up the visuals, that just means I'll appreciate them that much more. @erv agree there! It's embarrassing how poorly Nintendo is managed. If they could design business strategies as well as games they would have been ready with pikmin at launch, would have paid through the teeth to companies to make them commit publicly to porting the biggies like gta5/cod/fifa/farcry3/battlefield etc... Cos that's where the bulk of hd gamers go. And most of all they wouldn't be praising the new hd hardware by launching it with a retro 2d Mario game(love the game but it won't sell hd consoles). i think it would've been a good idea if for the wii, they had kept the same graphics but at hd resulotion. i agree with you saying they should've prepared sooner but transport yourself to 2006, the 1st xbox 360s dudnt have hdmi so was the wii being SD really that much of a heartbreak? @erv Thank goodness all Ninty's care about gameplay before graphics, am i right? Wow, talk about negative Nancies here. I mean sure, I agree that Nintendo is a little slow on this matter, but tbh, I know nothing about graphic/game developing, and I'm sure 95% of these commenters don't either (or am I mistaken), so I can't judge a whole company negatively on that sole factor. And real creative from most of the commenters, repeating and re-wording what the previous comment says, let's all jump on the bandwagon. Critical thinking is healthy, and should be practised in order for someone to better themselves, but to go over the line and start insulting, assuming things without really knowing, saying things like "Nintendo is living in 2006.." is absurd. It makes it sound like we 'fanboys' are ungrateful and spoiled brats. @Peach64 - I fully agree. "Please allow me to explain that we may have underestimated the scale of this change"
It's obvious Nintendo completely misjudged the development scale and that's why we have seen such a slim release schedule with numerous delays. What I don't understand is they had so much time to sort Wii U out considering the Wii effectively died around 2010. I think I'll leave this right here just to make people Angry. Business is quite stupid, and everyone should try to live in a more laughable, happier world, with my twisted humor as the center. Oh, and your opinions are all awful when compared to mine. This is partially the reason why Nintendo are now announcing games later on. Gives them more time time to develop and handle delays in a better way while gamers have less time to wait between software reveal & release. I'm waiting for Iwata to say something more akin to the truth - "We devoted all of our resources to the 3DS as we assumed people who bought the Wii would buy the WiiU to play Mario which we had ready at launch." They probably did underestimate HD development, but they had so much riding on the 3DS thats where all their employees were working, and they didnt hire new employees b/c they knew when Kid Icarus and Mario Kart 7 and Mario 3D land and Luigis Mansion were done these peoole would work on WiiU games. @Goginho Couldn't have said it better myself. Nintendo is very cautious (usually) about putting out software. They make excellent games that sell for years and years rather than slapping some textures on annual releases. Not to sound like a graphics adorable fluffy kitty but to be honest looking at these screen shots, it seems to me that this game was developed on the original Wii and has only been up scaled to HD. I expected at least some decent bump mapping textures on the ground since the camera seems super zoomed in on the pikmin and main character. Yes, of course it is a lack of planning. But still it is not the end of the world for me. Hopefully from now on they will be prepared for this. this goes with articles like "water is wet" and "mobile phones are portable". This was clear from the start. Look at all those launch games. It seems impossibly stupid and juvinille that it actually is the case but all those games look like upscaled sd models, no new detail or physics. It's like they truly thought they could upscale everything and use the same designs and it would all look fine. Even the system specs reflect that, because if that were true it would be like a supercomputer. But, no, models all need to be ready to be seen at that level of detail or things just look ridiculous. Sharpness is great but if the detail isn't there... geez. I wish Nintendo would wake up and hire someone younger with a clue into upper management and talk to people in the industry. they're in a bubble. @CAM Yeah, I agree. I find it slightly distracting. This hardly sounds like something to get indignantly outraged about. So they made a big mistake. Big deal. Either they'll learn from it, or they won't. Either way, there'll be no lack of great video games to play, either on the Wii U, or on some other console. @Nintenjoe64 What's wrong with the new DK games? @jedisquidward nothing wrong with them but 3 in quick succession is a waste of Retro's talents. I want Retro to be the new Rare, not the new Infinity Ward. I can understand everyone's pessimism. My patience with Nintendo, and specifically Iwata, is waning. You can't tell me they haven't been observing other developers, maybe even conversing with partners about HD development. They had to test the hardware and start builds of games before it was released. This makes no sense. Nintendo used to be the leaders of the graphical pack. @Nintenjoe64 Tropical Freeze is only Retro's second DK game, and two games in four years isn't what I'd call "quick succession," either. Besides, as fantastic as DKCR was, I can't complain with them making another. Of course, the way to make everyone happy would be to clone everyone at Retro three or four times so they could be working on several games at once. Looks like I won't be needing this anymore. @Dr_Corndog your cloning idea is the best solution I've heard so far! To be honest, DKC:TF looks really good and I would rather Retro had more time with the Wii U before making their next Metroid Prime. I am just taking out my frustrations at lack of new games on anything at the moment. I'm loving Pilotwings and Megaman but I shouldn't have the time for all these retro games so soon after buying a new console. Even with miyamotos admission, the fact that theyre committing resources into games that no ones interested in is whats most alarming about nintendos current shape, to me. All this while having no games for a year AND refusing to give gamers that want online multiplayer any bone at all? They never gave wiiu a chance. Nintendo ip or not, no way this sells against ps4. Ridiculous. Wiiu wasnt a big purchasing decision for me as i kind of got a lot of money to throw around and its still a purchase i regret making. I cant imagine how duped i would feel if wiiu was the next gen console i saved up for or got for christmas. Who even cares? As long as Sony and Microsoft don't have their consoles on the market, that's how much time Nintendo has. You gotta be patient if there's absolutely nothing else to wait for anyway. Some people here are waiting for Xbox One or PS4 correct? Why is it acceptable to wait until those consoles come out, but not for the Wii U to get its bigger games? I'm gonna laugh if PS4 becomes the next PS Vita. I guessing most of you know how well that pile of bolts is doing. Oh Nintendo, you so crazy. Eh, they just need to hire more staff and/or outsource more franchises to trusted third party companies. @SCAR392 That "pile of bolts" that you are calling the Vita is outselling the Wii U - you should probably rethink your argument. Also, the PS4 will have full third party support, right along with the Xbox One. The chance of either of these upcoming systems stalling like the Wii U has is quite small, especially considering the PS4's price is nearly the same as the Wii U's. this game looks gorgeous ! and now with the inclusion of online leaderboards hopefully mii support too! gonna be gooood! Home consoles vs. handheld. Argument stands. Besides, the Vita is still a year behind 3DS. According to the 3DS progress chart, PS Vita should have started selling like hotcakes months ago. The PS Vita is on the same road as the DS vs. PSP, and PS4 will probably be even crappier than PS3 was at launch, regardless of the cheaper price. All the bad things said about Nintendo can just as easily be applied to Sony's gaming machine. BTW, I'm trolling. My point is that Sony is arguably lacking quite a bit more than any front of Nintendo. Looking at the Pikmin 3 topic here a few days ago, I had a feeling this was the reason for the delay. Doesn't bother me much at this point, unless they delay Pikmin 3 again (which I doubt will happen). 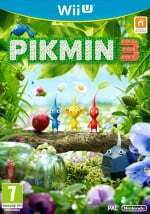 And then of course, once I get Pikmin 3 I hopefully won't have any problem waiting for other games to come out. @bahooney Which also cost them the last time they tried that. The N64 lost against the PSX (even though power wise it was better than the PSX). The Gamecube lost against the PS2 (both the Xbox and the Gamecube even though they were both more powerful than the PS2). Great. I expect we'll get the next Zelda in 2019. Oh man. I wrote that jokingly, and then I thought about it and realized how not-farfetched that number is. If you took the development time for past Zelda titles and doubled them 2019 would actually be relatively early, despite likely being at the very end of the Wii U's life. The very first comment hit the nail on the head. It's not like the rest of the video game industry didn't already move on to HD development seven or eight years ago. It really makes you wonder what Nintendo was doing during the last two or three years of the Wii's lifespan (when nothing was coming out). As much as I love Nintendo, they do sometimes seem to be a company rife with incompetence (in certain ways). i know everyone else has already said this, but welcome to 2006. 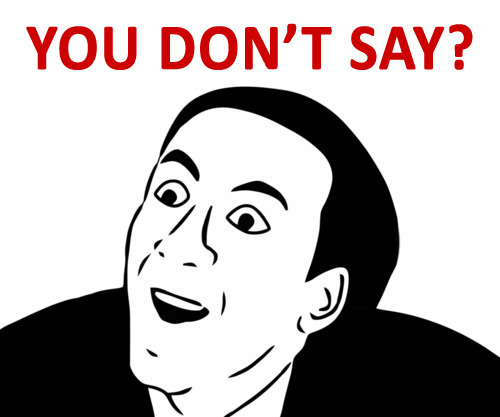 @PokeTune Your post is so original, over 9000 Chuck Norris DO THE HARLEM SHAKE is a lie. This game was first meant for the GameCube, and it shows. @SCAR392 So your biased opinions are facts - is that what you are telling me? The simple fact that you state that you want to see a major player in the gaming industry fall is enough for me to tell you that I have nothing else to discuss with you, but just for the record, know that if any of the Big 3 were to fail, it's highly probable that it will start an industry wide collapse, which would in fact, damage Nintendo. You make a good point, but Nintendo did drop the ball...not so much I have to go on an internet wah! !page like a lot of commenters here, but it's always good to be honest about it so hopefully Nintendo can improve in the future. This makes me happy. Glad to see that they took the extra time to make it a truly amazing game in all aspects. Let's just hope it delivers. How can you even call a fact a biased opinion? I think you're mixing up the 2. I never said in any form, that I want PS to fail. I just don't give a crap about PS to begin with, and their doing worse than Nintendo to boot. Sony IS in fact, a dying company, because they don't have a unique way to be relevant in the industry. Sony has a better chance to survive as a company resorting to their once loved Walkman brand, instead of continuing to take losses on the PS brand. Walkman, or PS? Sony's gonna go bankrupt if they continue this path any further. I agree that the Vita is going to be to the 3DS what the PSP was to the DS, but that doesn't make the fact that Sony has lasted this long against Nintendo any less impressive considering they've been pretty much untouchable in the handheld market. Having no "unique way to be relevant" does not a dying company make, they make a desirable product otherwise the PS3 wouldn't have done so well. The PS4 pre-order numbers show that the PS4 is a much antisipated console. If you "just don't give a crap about PS to begin with" then why do you seem to care so much about wether they're successful or not? You don't like Sony and thats all well and good, but it'd be harmful to the industry as a whole if one of the big three were to crumble. @SCAR392 I don't know where it is that you are getting your "facts" from, but whomever or wherever it is, I'd highly recommend that you look to other avenues to get your information. Sony is absolutely not a dying company. This is not a fact in any way, shape, form or fashion. While the electronics division of Sony is indeed its weakest link, the revenue it makes from selling insurance, movies and music are so great that any loses it takes in its electronics division pale in comparison. Sony's "PlayStation" brand is actually one of its profitable sides of its electronics division, which completely contrast to your claims. In fact, it's televisions division is the main part of the company that damages it the most. Your claims that Sony is doing worse than Nintendo and that it isn't relevant is laughable. The vast majority of industry journalist and analyst agree that it is Sony and its PlayStation 4 that will lead the charge (and most likely reign supreme) through the next generation. Almost every developer that I personally work with have stated the exact same thing as well. In fact, I've never seen so much excitement from developers over a gaming console as I'm seeing with the PS4. Unless you know something that I don't, then your claims are nothing more than just that. If you have some proof to back up these things that you are stating, please provide links to them, as I'd very much like to see it. Sony sold the PS3 at a loss for 4 years straight. That sounds good? They aren't leading much of anything in the industry anymore. The Vita is doing crappy with a direct comparison to the 3DS for reference. Also, PS has never done as well as the Walkman. Why don't you post a link? This sort of thing has been going on for years at Sony Corp.
First of all, you have to realize that Nintendo always takes a long time to develop all their games. I am pretty sure that they did realize that it would take longer and require more resources to develop HD games. But then you have to realize that Nintendo is going to take its time... so what is the problem again? oh you all want unfinished, unpolished games? oh, because there isn't around 6 more years left in the Wii u life... you can't wait? No one is questioning if the gems will show up, and we're all aware of how Nintendo operates. The thing is that Nintendo are well aware of how they operate and should have made sure they had the time and resources they need. The problems they're having right now are the same problems the rest of the industry has been having since the current generation started. They could easily have brough in someone with experience to act as a consultant or something but they didn't, even Namco could have gave them some pointers. They simply weren't prepared at all, no ground work, no plan B, nothing. Given how the Wii's third-party support was it wasn't a smart idea to bank so heavily on third-parties having their back. They should have had something ready just in case. This is actually not surprising at all in my experience (aerospace engineering). It doesn't matter how many other people have done something and blown budget and schedule doing it. When a company (Nintendo) gets into doing something they've never done before (HD), they ALWAYS think they can do it better, faster, smarter than the competition and so set unrealistic schedules and budgets for their product. Reality inevitably catches up with them and they realize they have to go through the same growing pains as everyone else. It happens every time. @SCAR392 That was over a year ago, before Sony has a near complete internal restructure. Also, selling electronics at a loss has practically become a standard in the PC, mobile and gaming markets. The money lost is quickly regained via third party licensing and royalty fees, as well it's own software sales. Sony has been a selling insurance since 1979 and pulls in billions of dollars in revenue in doing so. Sony is also involved in medical devices as well. And no, it isn't bad that Sony makes astronomical amounts of money selling insurance. Yes. Sony over expanded and started losing a lot of money. It then made major business decisions - PlayStation 4 being one of them - and the company is now back headed in the right direction. If you actually understood the industry, you would already know that selling electronics is not a major source of income, and yes, this includes Nintendo, who sold both the Wii U and 3DS at a loss. Thats all well and good but you can't expect people to be happy when they fork out the money for your latest console and you tell them to go play something else, now can you? The Wii U doesn't offer anything you can't find elsewhere, and that includes your NSMB fix. Thats a problem right there. Theres the artistic side of the industry and theres the business side, those things don't exactly mix. I never claimed to know more than a CEO but it doesn't take a genius to realize that most people in the industry have half a decade of experience in HD programing. Nintendo has never been keen on outside help, they've always had this assumtion that they're above everyone else. Its not too far-fetched to assume that Nintendo though they could handle it themselves because they're Nintendo. Are you kidding? They have never sold the 3DS or Wii U at a loss. The Wii U costs exactly as it should, and the 3DS is sold for a profit. Nintendo is doing WAY better as a company than Sony. As a gaming business, Nintendo factually makes better decisions business wise for gaming. Over and again you make accusation after accusation that simply aren't true. Your claims continue to have nothing substantial to back them up. Nintendo is not doing better than Sony. In fact, the majority of the business side of the gaming industry is all carefully watching Nintendo with a keen eye, as its reluctance to fully integrate into the online market and HD developmental pressure is currently holding the company (and the Wii U) back. Of course, nobody with any sense will ever rule Nintendo out - it is still doing very well for itself - once the new consoles land on the market and fully integrate their cloud-based online structures though, Nintendo will be another full generation behind once again. This is one of the major factors that is keeping the third parties from putting their upcoming titles on hold. It isn't so much the Wii U itself, it is Nintendo not implementing a solid online structure for its consoles, once again. Yes, Nintendo has done a significantly better job this generation than before, but it is still nowhere near equal to the current generation consoles in the online markets. Again, it will be a full generation behind within the next two years, if everything implements correctly on both Sony and Microsoft's end. Anything else that you would like me to direct you to the truth of? If so, please feel free to do so? Yes. I am a huge Nintendo fan. But being a fan doesn't make everything Nintendo does right. I see your comments here all the time and you defend EVERYTHING that is stated that is critical towards Nintendo, even when the things you think you are correct in defending simply aren't true. If you want respect in the online world, constantly defending everything is not the key to obtaining this. Criticism is a great thing. If fans/journalist aren't critical to a company, then why should it push itself to go above and beyond for its fans. If your teachers in school didn't criticise your work - would you have a decent education? The answer is most likely "no" to both accounts. Only by a company hearing its flaws will it know its missteps. I work with game developers and publishers everyday, as I am an editor at an industry based gaming site. Developers, of course, want perfect scoring reviews, but they also want to hear where they messed up, because only then will they know what they need to work on harder in its next game. I once had this same advice given to me many years ago. You can do with it as you like, but it has worked wonders for me. Oh, and one other thing, many times the best thing to say, is to not say anything at all. Nintendo is the most successful gaming business in the world. This is a fact. Yes they did lose money in 2012, but overall, Nintendo is doing fairly well. @djepic209 Actually, Nintendo is the ONLY major platform holder and developer that only deals with the gaming industry. This is also the reason that Nintendo isn't taking part in the high-end next generation (read: pushing high-end technology) consoles. Both Sony and Microsoft subsidise loses with other, more profitable sectors of their companies. i truly hope that there is an option for multiplayer on two screens, one on the tv-screen and one on the gamepad. that would be far better than split screen. NINTENDO IT'S 2013! YOU'VE GOT TO BE KIDDING ME!